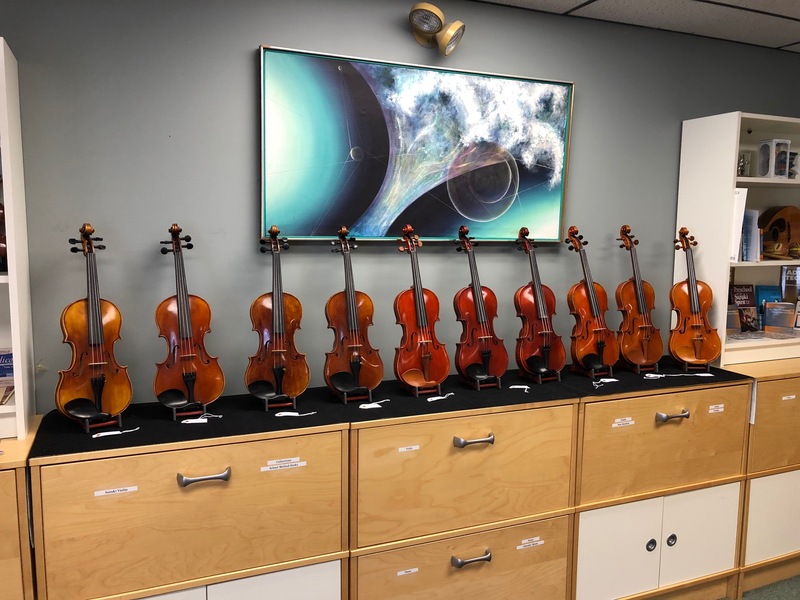 Bridges and Bows offers reasonably priced student violins and more advanced instruments for players of all ages and ages and sizes. We carry a selection of violins that include newer factory-made, antique hand-made, and violins made by a Massachusetts luthier. We currently have a full line of Eastman violins, violas, and Cellos in stock, as well as violins from Revelle, Scott Cao, and older German violins and violas for a more mature sound. Also available are rare John Friedrich (1903), August Germunder (1879) violins, as well as a powerful Robert Dolling (1920) viola and a rare Pakln viola from 1940. We also are interested in talking with people who have old violins that they have come across and would like to know more about, and can give a verbal appraisal or recommend a qualified written appraiser. We have had great success buying older violins that aren't being played and finding them new homes, and take great joy knowing that instruments can play on with new life! We are the exclusive dealer of CodaBow in the greater Westford area. We carry a full line of CodaBows as Revelle Carbon Fiber bows in stock for violin. And we have a selection of carbon fiber viola and cello bows as well.